Separate the egg yolk from the white in a small bowl. Mix in a large bowl all the other ingredients. Knead for about 10 minutes to get a soft non-sticky dough (the sticky dough becomes non-sticky so don’t worry). Cover the dough and let it rest in the fridge for 1 hour. Take out the dough and divide it into small balls. 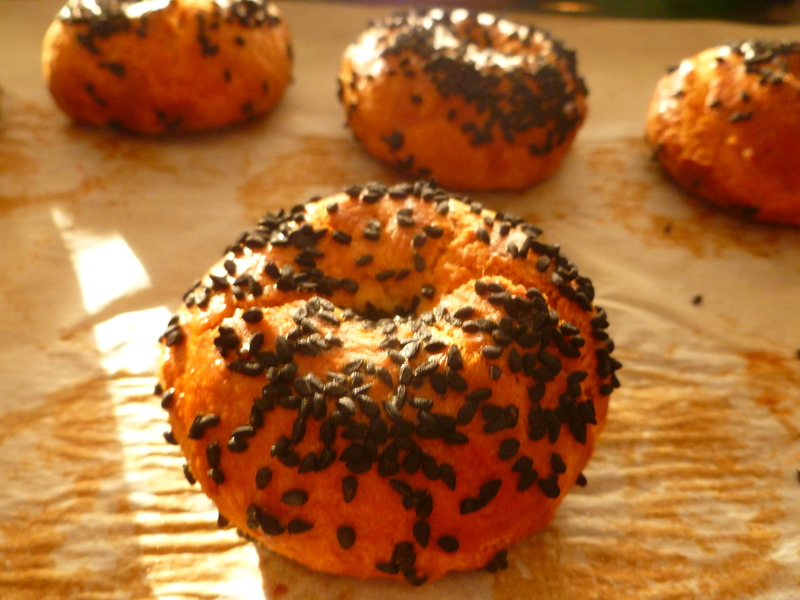 Flatten the balls a bit, brush the top with egg yolk and sprinkle some nigella and/or sesame seeds on it. Place the poğaças on a tray covered with baking sheet and bake them in a preheated oven at 175C till they are brown. 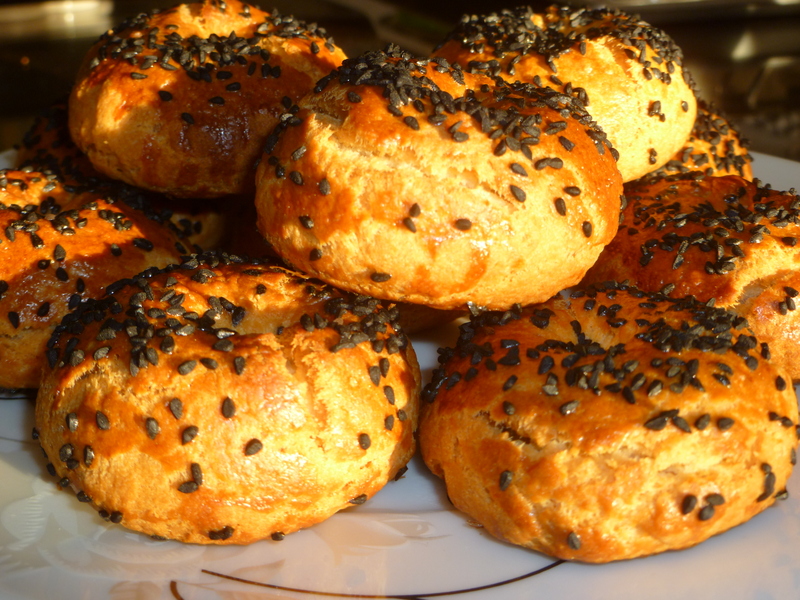 This entry was posted in Breakfast recipes, Pastries and tagged Bread, pastry, Turkish.